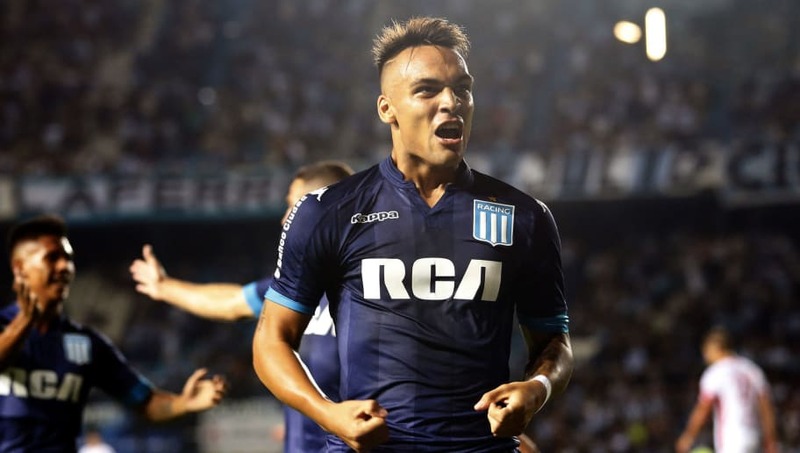 Serie A giants Inter have won the battle to sign highly-rated youngster Lautaro Martinez, according to a respected Italian journalist. The Argentine striker has been linked with a move away from Racing Club for a number of months, with ​Real Madrid and Roma among a number of sides said to have been interested in securing his services. The 20-year-old has been in blistering form so far this season, scoring an impressive seven times in his eight league appearances for Racing. He has also impressed on the international stage, netting eight goals in 11 appearances for Argentina at Under-20 level. Martinez was rumoured to have undergone a medical and even signed a contract with ​La Liga giants ​Atletico Madrid back in December, but the move never came to fruition. It now seems that the Argentine wonderkid will ply his trade in Serie A after all, where he can look forward to linking up alongside international colleague Mauro Icardi. The 24-year-old striker has become one of the most devastating finishers in world football over the past few years, with Icardi having netted 96 times in all competitions since joining from Sampdoria in 2013. Martinez is likely to pick up a thing or two from a player who remains very much in-form this campaign, with Inter's main hitman scoring 18 goals in just 22 Serie A appearances.